Baroda, currently known as Vadodara is the house to the population of almost 2.065 million people from different religions, cultures, and ethnicities. No matter how extensively varied population Baroda boasts today, one thing is definitely common in the people of this third largest city in the state of Gujarat is they believe in celebrating every occasion with the optimum gaiety and enthusiasm. World’s biggest festival of celebrating love, Valentine’s Day holds the position of a prime festival in Baroda. People of this city celebrate Valentine’s Day in different ways- some couples prefer to go for the outing ending up with candlelight dinner while others prefer to spend with each other in the houses. 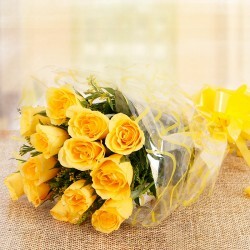 But, one thing most of the people in Baroda do is that they buy Valentine flowers online. Why? 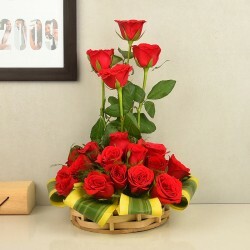 The reason is very simple when it comes to articulating you heartfelt emotion of love to the dearest person of your life, nothing can do it better than a beautiful arrangement of fresh flowers like red Roses, Orchids etc. 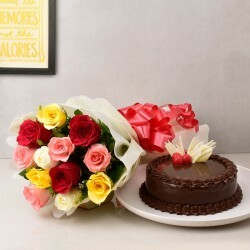 So, if you are looking forward to sending the most charming and freshly cut arrangement of Valentine flowers to Baroda where your dear one resides on this 14th Feb, you have just landed on the right page. 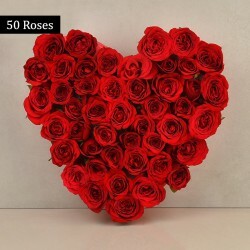 MyFlowerTree offers you a wide collection of charming and expressive Valentine flowers that are sure to touch the deepest corner of your heart right away. Since the vintage Victorian era, flowers have always been synonymous to love and affection. People throughout the world have been using flowers as nature’s own tool of expressing love. So this Valentine’s Day, don’t feel shy away from letting your crush know how much you love them, and wondering how to do it? Let our flowers do the wonder on behalf of you. 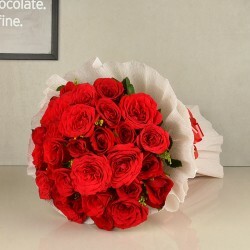 Just send Valentine flowers to Baroda online from MyFlowerTree, and you would always remember the billion dollar smile on his/her face after receiving the gift from you. Have you been planning to walk a few extra miles for your sweetheart on this V-Day? 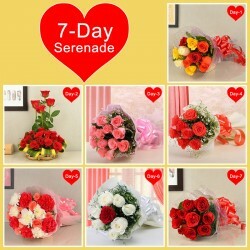 Well, you can send an awesome combo of Valentine gifts with the flowers. With the extensive collection of gift items like coffee mugs, cushions, jewelry, chocolates, plants, personalized gifts, mugs and cushions, and many others, you are bound to get awestricken. 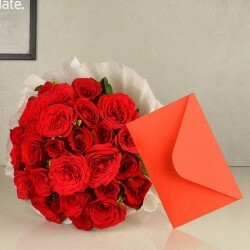 Send Valentine flowers online in Baroda where your dear man stays and make him fall for you forever. We provide the wide variety of beautiful Valentine flowers like roses, carnations, gerberas, lilies, orchids, and so on, and moreover, these flowers are available in different colors such as Yellow, White, Pink etc. 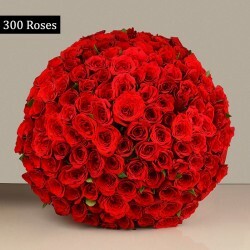 This online store has been delivering flowers and gifts in more than 350 countries in India and in countries like USA, UK, UAE, Australia, Canada, France, Malaysia, Qatar, South Africa, and Sweden. Love has no boundary, and MyFlowerTree proves it with its prompt custom delivery options like same day delivery, midnight delivery, early morning delivery, fix time delivery, and express delivery. 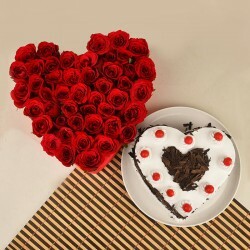 From the heart-shaped arrangements of Red Roses, Carnations to heart-shaped Red Velvet cakes, personalized gifts, you have ample amount of Valentine gifts options available for you to choose from.